What's it really like to have your first child in your 50s? "The notion that all women over 40 have problems conceiving and suffer complications during pregnancy is just not true. The women who tend to have complications are those who smoke, drink alcohol, rarely exercise, have pre-existing medical conditions or who don't look after their general health particularly well. I have seen many unhealthy, younger women suffer from terrible complications during pregnancy and healthy, older women who sail through pregnancy and give birth to exceedingly healthy babies. I think that a lot of people need educating on this and not to believe all the negative statistics that they may read about older mothers." What is Mothers Over 40 all About? Mothers Over 40 is a positive and encouraging resource for all older parents and those planning to conceive after the age of 40 and upwards. This site, which was established in May 2002, is dedicated to all older mothers, fathers, mothers-to-be and anyone who is planning a pregnancy later in life, whether it's your first, second, third, fourth, fifth or even twentieth child! The aim of this site is to offer encouragement, inspiration and hope to older parents around the world and to be a positive resource amongst all the negative statistics that you may read elsewhere about having a child after 40. If you wish to connect with other parents and those trying to conceive, please check out the meet-a-mum page. When I was expecting my fourth child at the age of 39 (giving birth at 40), I found very little encouraging information that was specific to older mothers, despite the fact that in some parts of the world, women have been conceiving in their 40s and 50s for decades. As a freelance writer and author, I was eager to gather information on the positive aspects of midlife parenting, but despite spending a huge amount of time scouring bookstores and the Internet, I realised that such information was at a premium. If I could have found a positive site offering me reassurance, along with all the information I needed and answers to the many questions that I had, it would have saved an enormous amount of time, energy, frustration and anxiety. My pregnancy was straightforward and free from complications, apart from severe morning sickness (24/7), which had also afflicted me during my previous three pregnancies. I hope that people will beging to focus more on the positive aspects of midlife parenting and less on the age factor. Do the sceptics assume that we all metamorphose into incapacitated wrecks once we hit the bit Four-O, who are only capable of sitting in a rocking chair knitting and napping? I don't think so. I hope that this site will be a comfort to older mothers everywhere. If there is anything specific that you would like to see included on this site, please let me know! If you would like to read more about me and view photos of my family, please click the About link. 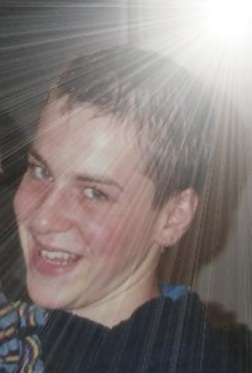 In November 2002, my eldest son Kristian, aged 20, tragically passed over by suicide. His most outstanding qualities were his compassion, forgiveness and concern for those less fortunate than himself. I taught him the value of helping others and will continue to follow his example by supporting those who have come to this site for comfort and reassurance. I think that tthe loss of my son proves that your life expectancy cannot always be determined and that just because you are an older mother does not necessarily mean that your children will outlive you. Chasing Death attempts to put candid, but heartrending words to the often incommunicable pain that the surviving families endure, not only through the telling of the author's story, but through the experiences of other families mourning the loss of a child, stepchild, sibling, friend or relative to suicide. 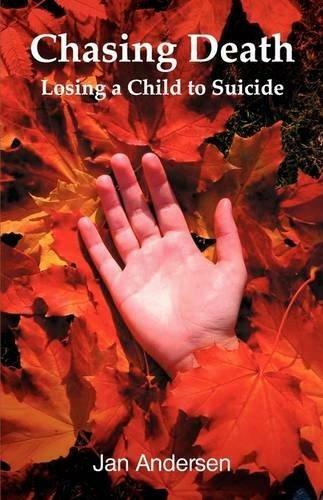 This is NOT a grief recovery book, so although it will break your heart, it may also provide solace to other child suicide grievers in knowing that their thoughts and feelings are normal and that they are not alone, in addition to being helpful to anyone who has lost a child or has been bereaved in any way. Chasing Death now raises funds for CALM (Campaign Against Living Miserably), an award-winning charity dedicated to preventing male suicide, the single biggest killer of men under the age of 45 in the UK. Now only available via Chasingdeath.com, following my decision to remove it from Amazon.